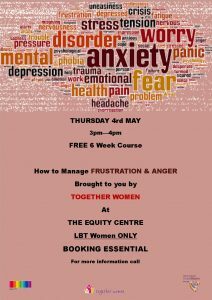 A free six week course on how to manage frustration and anger. 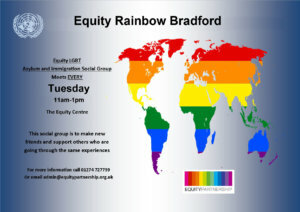 Starting Thurs 4th May at 3pm in the Equity Centre. 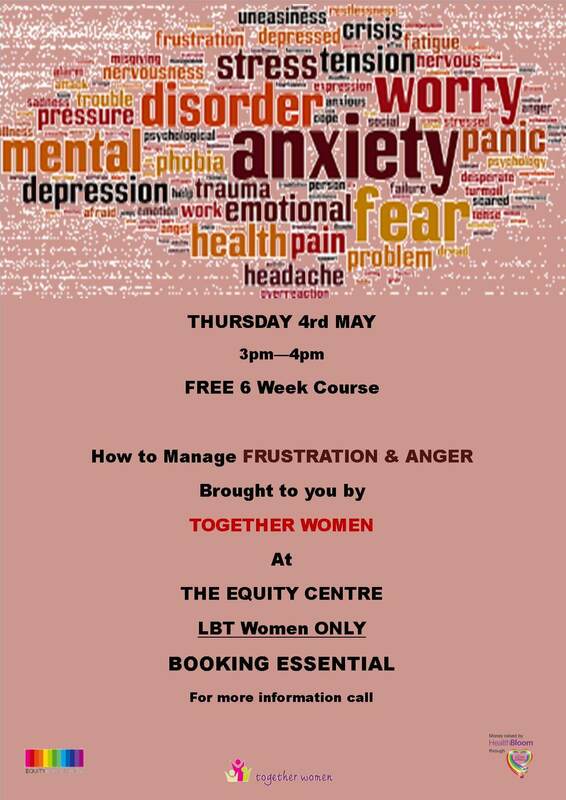 Contact wendy@equitypartnership.org.uk for more info and to book a place.